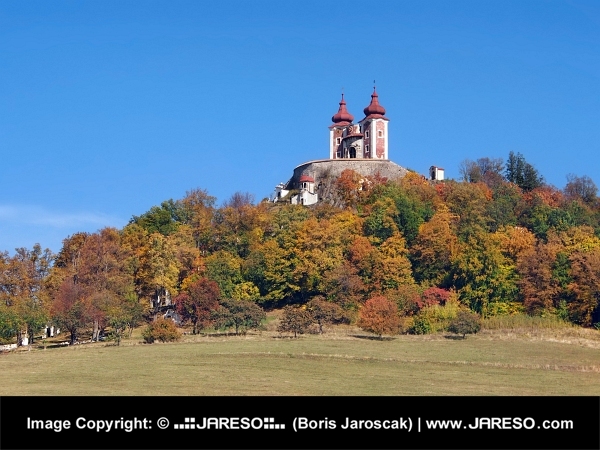 Autumn view of late-Baroque Calvary landmark located in small colorful forest of Ostry hill (Ostry vrch) near Banska Stiavnica town. 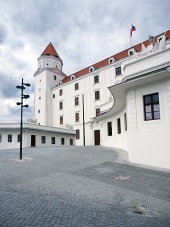 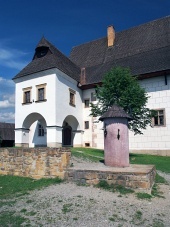 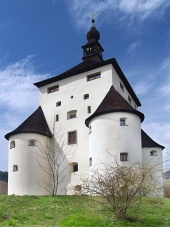 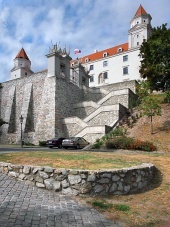 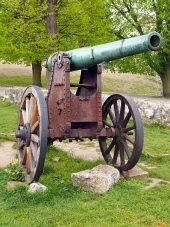 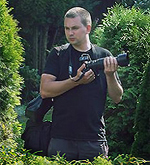 This location is important architectural and landscape heritage of Slovakia build in 16th century. 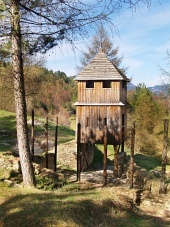 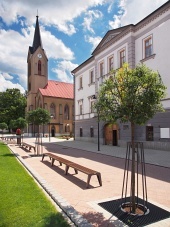 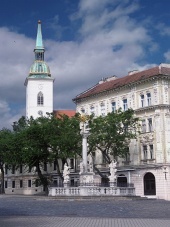 Banska Stiavnica is inscribed in UNESCO.